Today’s recipe is perfect for a busy day. 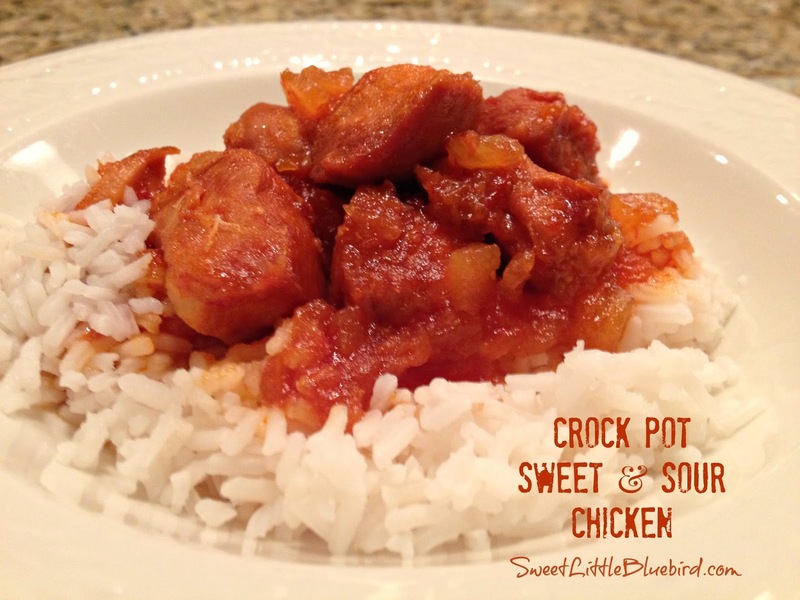 With only four ingredients and little prep, a warm delicious dinner will be waiting – CROCK POT SWEET & SOUR CHICKEN! Spray crock pot with non-stick cooking spray. 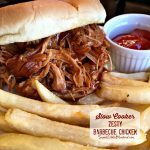 Place chicken in a single layer in bottom of crock pot. Mix the remaining ingredients (apricot preserves, chili sauce and pineapple), pour over chicken. Cook on high for 4 to 5 hours, or on low for 6 to 8 hours. 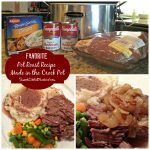 Each crock-pot cooks differently, so cooking times may vary. 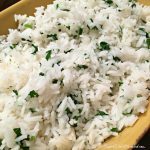 Serve over rice and with your favorite vegetable, like steamed broccoli.Enjoy! Note: Fresh chicken breasts are best. Frozen chicken breasts are often filled with a lot of liquid. Tip: For more kick, you can add a little crushed red pepper flakes to the sauce. This was very tasty, But needs MUCH more sauce, any suggestions? Made this for a family of 6 and it was too sweet for my liking. I did not double the apricot preserves because after reading the comments I found that several people complained of the sweetness. So instead of using 2 cups of it I used a little over a cup. I doubled everything else. I took someone’s advice of adding lemon juice. Still too sweet. I made this recipe today. I feed a family of 4, including a hungry man and a teenage boy,so I doubled the recipe. After cooking 5 hours on high I noticed it had lots of extra liquid, very soupy. I took the lid off the crock pot and stired often the last hour of cooking to thicken the sauce. The recipe was a little too sweet for my taste. I was going to add red pepper flakes but was out. I added 1/2tsp of cayenne pepper. It added just the right amount of heat at the end. But I still thought it was too sweet. I added juice from 1/2 a lemon. BINGO!! Prefect! In case nobody noticed…if you get the five pound package of chicken breasts at WalMart, it's cheaper, two bucks a pound versus three-four for the smaller packages, and you can just drain the pineapple and dump all of the three ingredients into bowl, mix, then add to the chicken (6-8 breasts). Double the recipe uses all the ingredients exactly! Did you drain the pineapple well? Also, use a. Name brand of preserves to assure not too much moisture. Ruby, did you use frozen chicken breasts? Some frozen chicken breasts are injected with a lot water/broth/etc… If you did, that may be the reason. I made it yesterday and my family said it taste like soup with chicken in it. I did what the recipe said so I don't know what I did wrong. Any suggestions? Made this a few weeks ago. Simple and delicious. Making it again today. 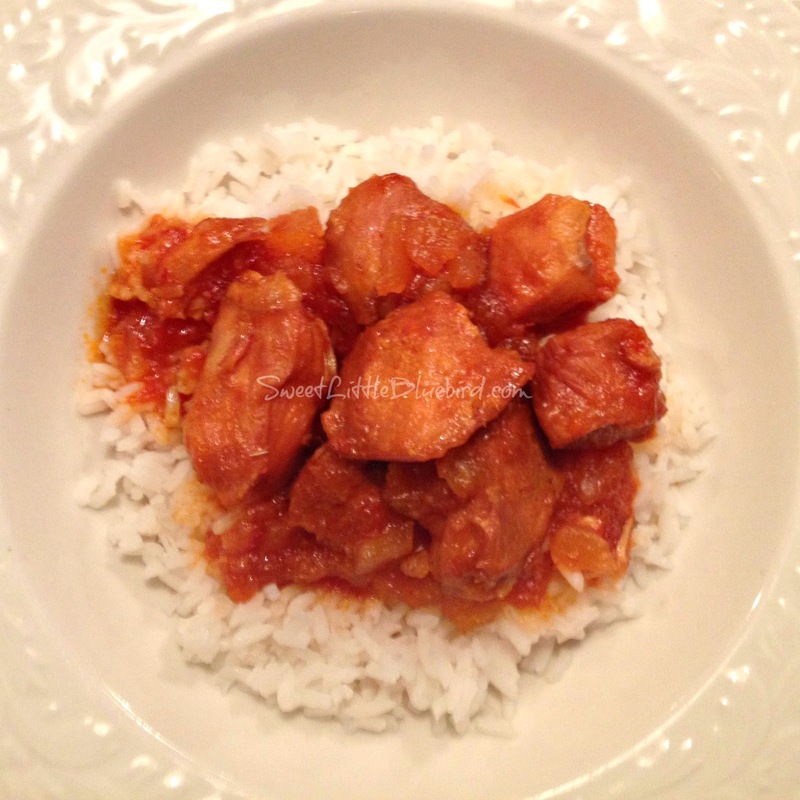 I like onion and green pepper chunks in my sweet and sour chicken…can I just add them to the crockpot or do they get mushy? Just add the onions and green peppers halfway through to keep them a little crisp. For those who have made it, did you use the red pepper flakes? What about salt or pepper? My husband will love this!! Going to make it this Saturday! I used roasted chicken couldn't wait to make it. My husband loved it. He asked me who gave you recipe. I made this and it was amazing! 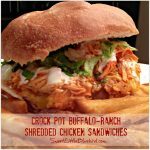 I have put it in rotation with our other favorite recipes. Thank you! 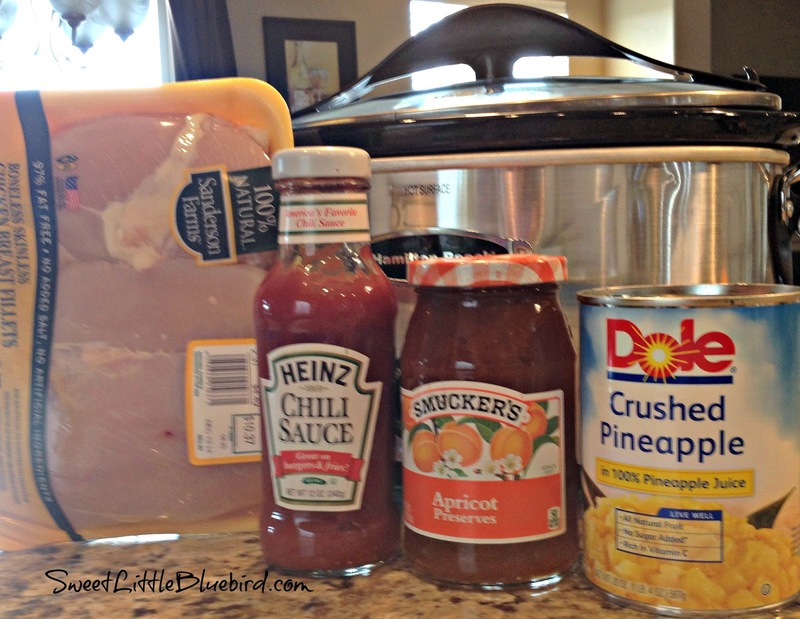 Cooking it tonight already have all my ingredients in the crock pot and ready to go! Sounds WONDERFUL…. I will be trying it soon. Oh my goodness! I can't imagine I'm the first to comment about this delicious-ness! ;-} LOVE simple ingredients and the ingredients here are awesome too. Gotta try this soon. Pinning for now.